Acapsil is ideal for wounds in areas that are difficult to dress as it does not require a covering secondary dressing. 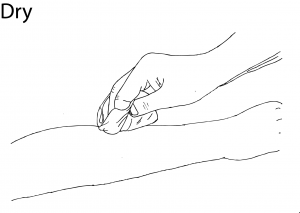 Acapsil is used routinely in the closure of all types of wounds and injuries where the wound edges cannot or should not be approximated for example by means of suturing or stapling. This includes surgical wounds that don’t have enough skin to allow for this type of closing procedure. Acapsil is used to prepare a contaminated area prior to surgery, e.g. by removing an infection. Generally, surgery is not performed in areas with infection, and usually surgery is postponed until an infection has been removed. The use of Acapsil in the area helps efficiently remove the infection and thereby improve the chances of success of the surgical procedure as well as for eventless healing following surgery. 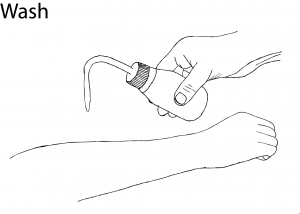 Acapsil can be used directly on top of a surgical wound (primary closure) in order to prevent the potential development of an infection in the wound. 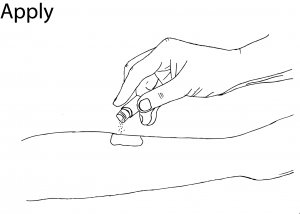 Sprinkle a 1-3 mm layer of Acapsil on to the entire wound surface including edges, sinuses, tunnels and beneath undermining. In difficult to dress areas the secondary dressing can be omitted but this may require a few extra applications, as the Acapsil will be at risk of being worn off. 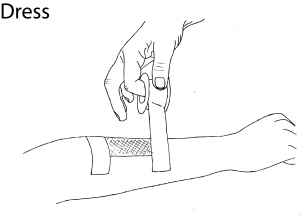 After ceasing the use of Acapsil, the wound should be dressed as above and left completely undisturbed to heal. Acapsil has not been associated with wound irritation or contact sensitisation (allergy). The components of Acapsil have not been found to cause toxicity. Acapsil is not absorbed by the body. Acapsil can be removed by simple irrigation with water.